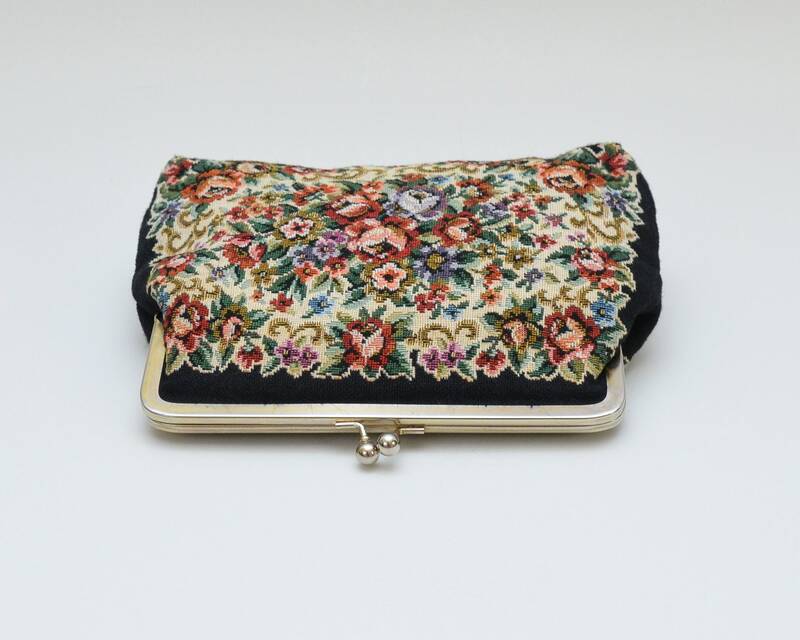 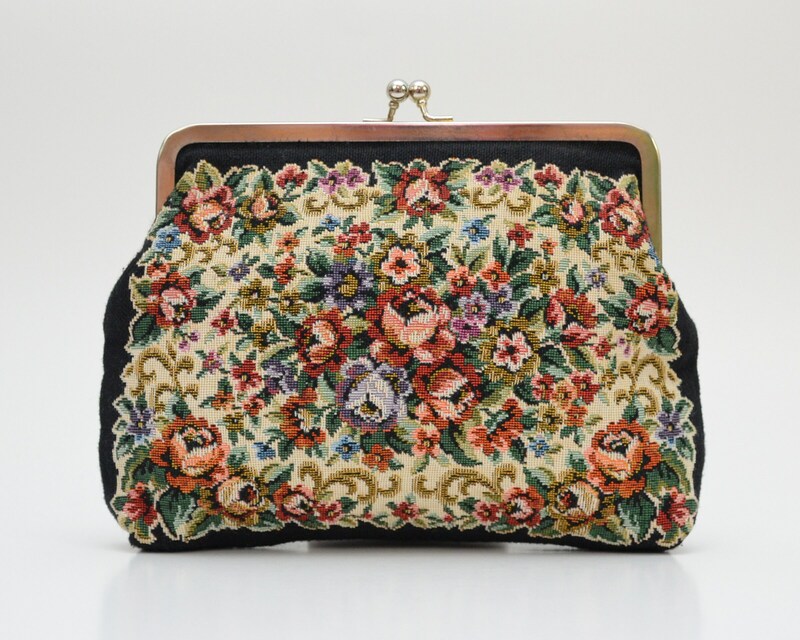 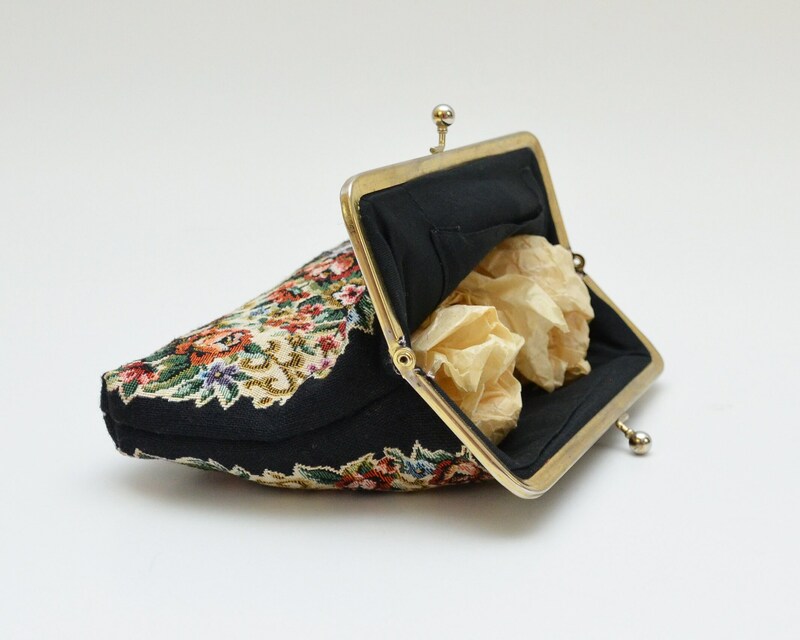 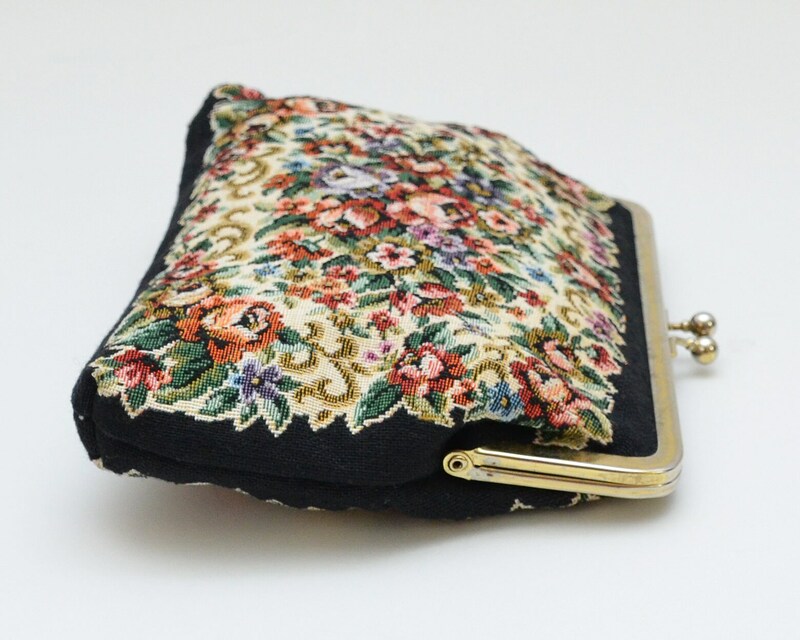 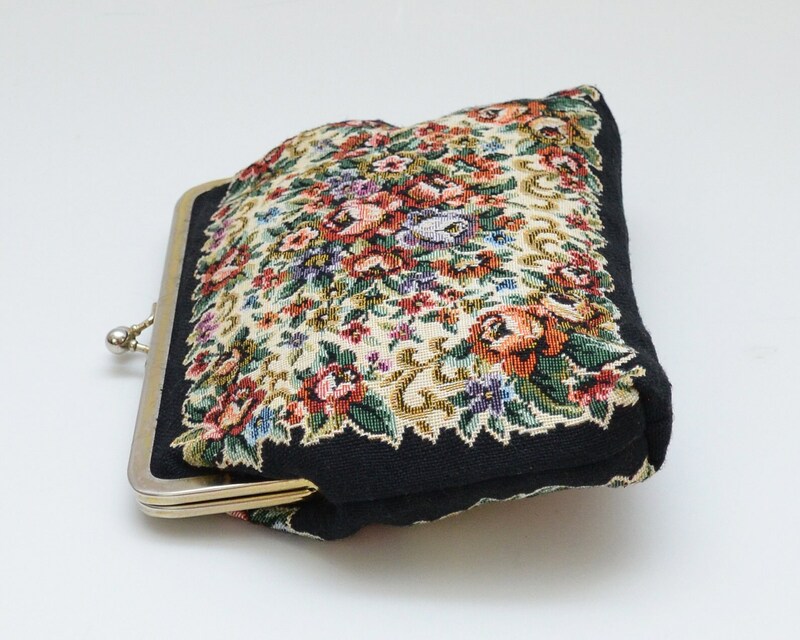 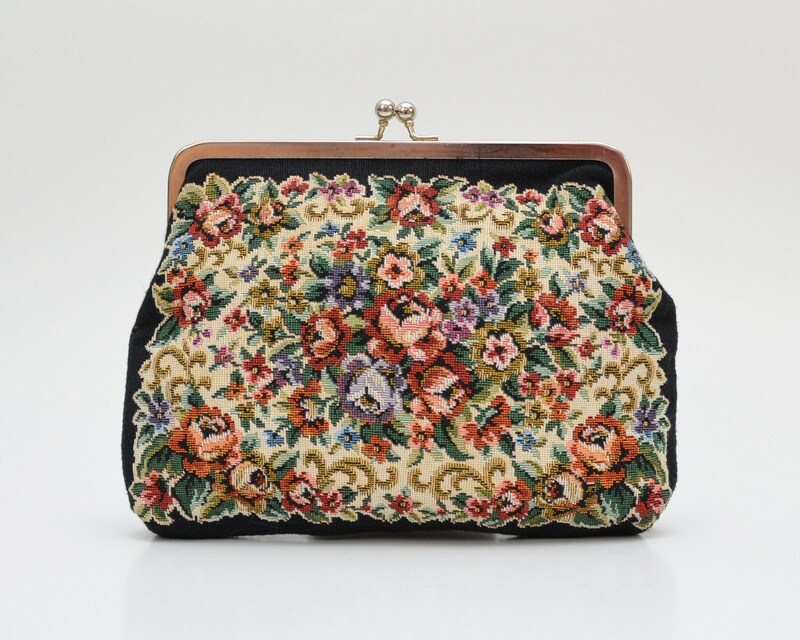 A gorgeous tapestry clutch woven in a floral pattern on black and a kiss lock frame. 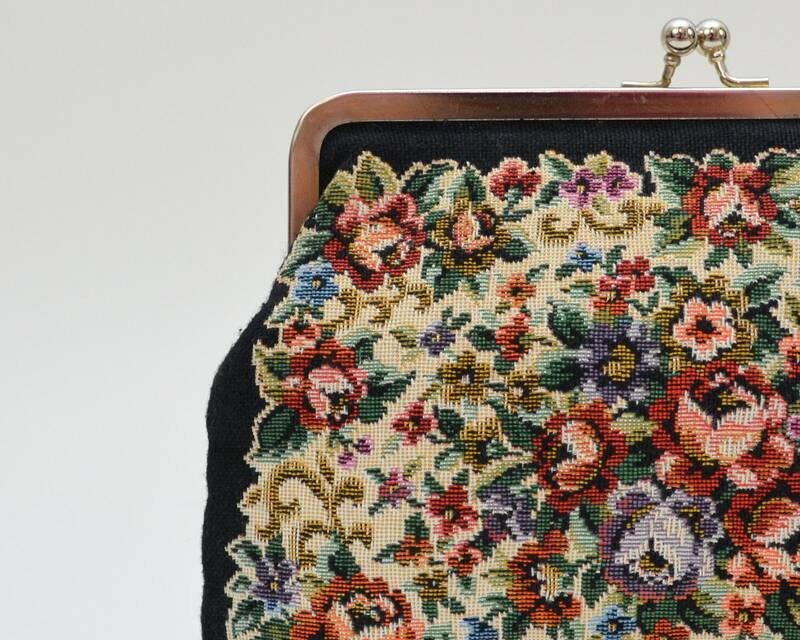 Frame shows some discoloration where the gold finish has rubbed off. 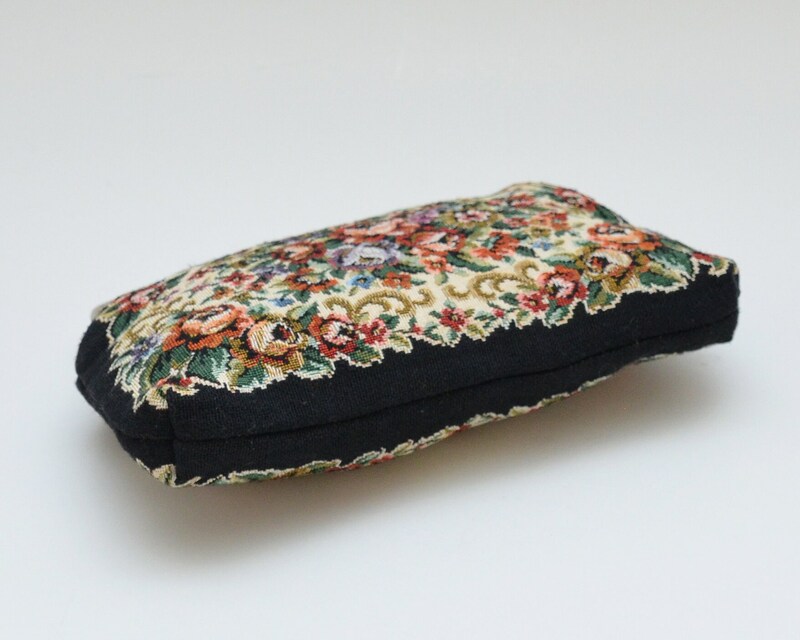 Otherwise flawless.